This is a Selfless Affair. What does this mean, exactly? Your focus should not be about YOU. It should be on giving your readers quality content, including your best tips, suggestions, case studies, and advice they can actually use. The Resource Box at the end of your article is also very important. Even if your article content is top-notch in quality, it will be wasted if your Resource Box is weak and lacks purpose. 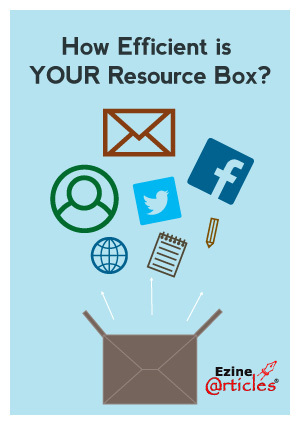 Listed below are things that you need to know about your Resource Box. 1. Make Your Author Name and Brand Matter: Your readers want someone they can trust. They need a go-to person to rely on and identify with. The first thing you need to know about your Resource Box is it should always include your author name. You wrote your content, so be proud of it! Do you want your name and brand out there, or do you want other known authors to take away your readers? Get out of the shadows and present yourself in a clear and straightforward way. Everyone makes mistakes in their line of work, and there’s no shame in admitting them! Becoming an expert in any subject requires hard work and dedication, as well as the right mindset to overcome basic challenges. For some writers, the trouble begins with writer’s block and only gets more difficult when deadlines approach and time is running out. For others, mistakes can happen due to poor planning or giving up too early when an extra push is all that is needed to transform failure into success. Although there are quite a few mistakes that can be made when starting out as an author, many of them apply to authors with more experience. 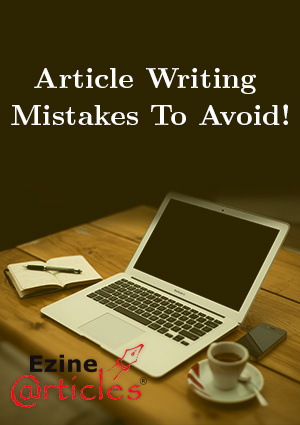 Check out our list of common mistakes to avoid to ensure you’re on the right track as an Expert Author. You need to be well-prepared for the long and prosperous journey ahead! 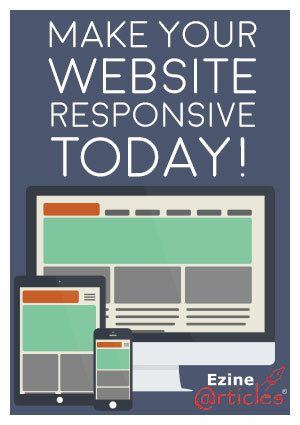 Don’t Just Make Your Site Responsive; Make it a Quality User Experience! On April 21, 2015, Google updated their algorithms to favor responsive web design and include mobile friendliness as a ranking signal. Since then, the majority of chatter has been surrounding the need to make websites responsive in order to maintain search rankings. In this post, we’d like to take things a step further and highlight what makes good responsive design and what should be avoided. Create an adaptive website with multiple fixed width layouts based on common devices. (Note: This approach can be challenging due to changing device sizes). Design it using multiple fluid grid layouts to create a truly responsive user experience. Regardless of which path you choose to make a website responsive, we want to ensure you’re not forgetting one fundamental element: user experience. If Your Links Aren’t Mobile-Friendly, They’ll Soon Drop Off of the Radar! In an era where a large portion of web traffic comes from mobile devices, it’s no longer recommend to optimize your links for mobile traffic, it’s essential your website is designed to support traffic from a variety of devices with a multitude of screen sizes. Previously, mobile-friendly web pages were encouraged and could help your ranking. 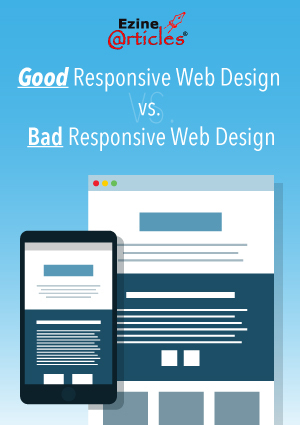 However, now, if you choose not to make your website responsive, it could actually hurt your ranking. Google announced they’ll be updating their algorithms to expand the use of mobile-friendless as a ranking signal starting April 21, 2015. See their full blog post, ‘Finding more mobile-friendly search results’ here. Essentially, mobile-friendly websites will be ranked higher in search engine results than websites that aren’t mobile-friendly. 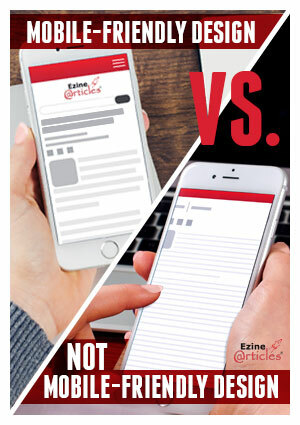 Did You Know Your Articles Are 100% Mobile-Friendly? 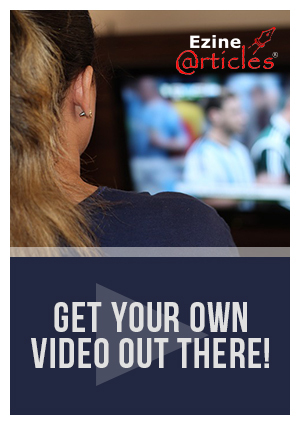 Access EzineArticles Content on Any Device and it Will Display Beautifully! 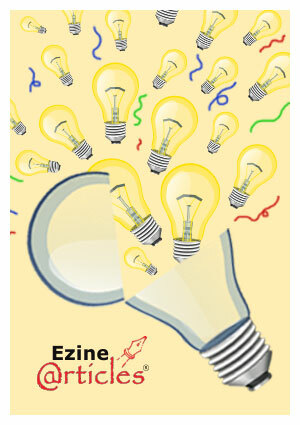 We’re proud to say, EzineArticles.com has provided 100% responsive web design for over a year. In other words, regardless of what device is used to open your articles published on our site, the screen size and display is automatically adjusted to create an optimal viewing experience for the reader. We did this so your articles look great on a desktop computer, smartphone, tablet, or other device. Users can easily read your content from their smartphone just as well as they could read it from their large computer screen. On the contrary, you’ve likely accessed a website on your smartphone or tablet and noticed it’s difficult to read. The text is too small, the screen size is hard to re-adjust, or it simply looks like too much information and it’s hard on the eyes. This type of poor user experience is what stemmed the phenomena and need for responsive web design across the Internet. Bust Out Your Creativity in the Strangest Places! UPDATED April 2, 2015 (see bottom of the post). Writer’s block is very real, folks! 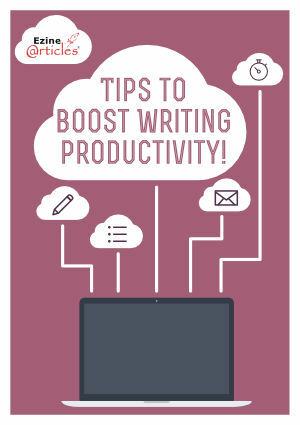 You can clear your schedule, set up the perfect environment for your ideas to flow, relax and begin writing. Then it hits you … you’re completely out of ideas! You’re squinting more than writing, forcing your creativity to reveal itself. Many times it’s not that you’re out of ideas, it’s that you’ve been sticking to your usual routine and your creativity tank is on empty. Stop and think about the strategies you’ve used to generate new content. It’s likely the same thing, over and over. Sometimes you simply need to change your strategy. You need to get out of your comfort zone and look for new content inspiration in unusual situations. You won’t have to go far; content for your next article could come from a walk or run down the street. If you need a boost in this department, we’re here to help. Take a look at our list of fun places to ignite some ideas for you. See if any pique your interest! If it Looks Too Good to be True, Readers Will NOT Enter Their Information! When the term “squeeze page” comes to mind, it should represent a page where you’re squeezing the best information about your services on one page. 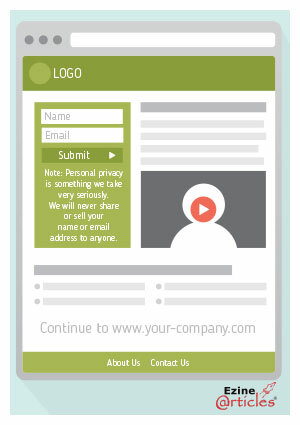 It shouldn’t be a teaser page that’s thrown together with little content simply to entice people to share their email address. Sometimes, even when you have an amazing collection of quality content and products for your readers, it may still seem difficult to get their attention, let alone their trust to share personal information. That’s why you need to make the strongest possible reason that what you’re offering will benefit those who are interested. In other words, if your squeeze page is uninviting, difficult to digest, or seems too good to be true, your readers will be long gone before the page is finished loading. Our focus in this blog is to help you improve your squeeze page by taking a closer look at your overall link presentation. Read our tips below to help you create a visually appealing page that will have your readers throwing their email address at you for more information. 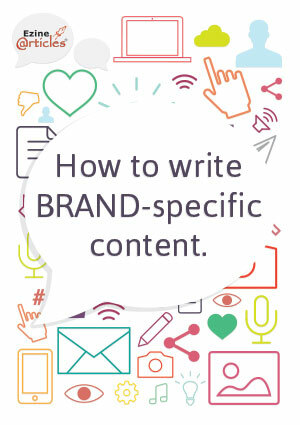 Follow These Guidelines to Deliver Brand-Specific Content! Do you write product reviews or discuss brands in your articles? If you do, it’s key the content is EXCLUSIVE to the brand that’s mentioned. If a person searches for information about a certain brand and they come across generic content that could apply to multiple brands, the reader is left with a poor experience. For the author, it means they won’t find value in your content or click through to your link. For that reason, it’s crucial your content is high quality, informative and specific to all brands that are discussed. First, keep these facts in mind before naming a brand in your article.